ENROLLING NOW FOR SPRING TERM! LIMITED PLACES AVAILABLE! 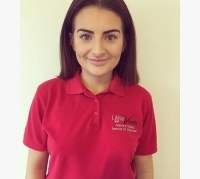 Here at Little Voices Lytham we welcome children aged 4 – 18 years providing Performing Arts training teaching Singing and Drama to the highest standard whilst building confidence and promoting children’s personal and social development.